Cody Quattlebaum, a young singer on the rise, has racked up quite a résumé. 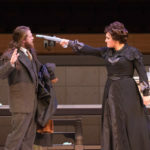 With debuts in Zurich and London, Quattlebaum has also been a finalist in the 2018 Glyndebourne Opera Cup and the 2017 Metropolitan Opera National Council Auditions and received a grant from the Richard Tucker Music Foundation. In concert, he has appeared at Carnegie Hall and Alice Tully Hall. How does someone so young, just barely out of graduate school, achieve so much? Ambitious and adventurous Quattlebaum shares his success story here. Read about his up-and-coming European career, plus his advice to young singers. Any singer can tell you how important breathing is. 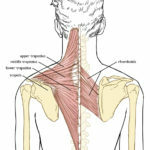 But have you ever thought about the impact your shoulders and sternum have on a good breath? Find out how relaxing your upper body can prepare your whole body for full, deep, singer-ready breathing. 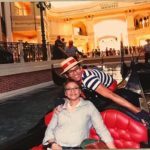 With advanced training, composure, and professionalism, the gondoliers in Nevada are making an impression with opera and making a sustainable living. 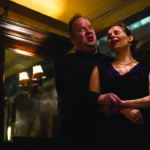 Singing in restaurants can be a great gig—you can make money, try out new repertoire, and often eat for free. But it isn’t without its challenges too. Find out how to appreciate the perks and navigate the difficulties here. A 2017 publication walks musicians through the world of performer contracts, negotiations, procuring legal aid, and much more. 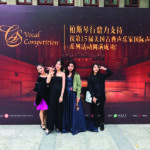 Read about one professor’s experience traveling to China for the 2018 CS Music Chinese Vocal Competition last March.